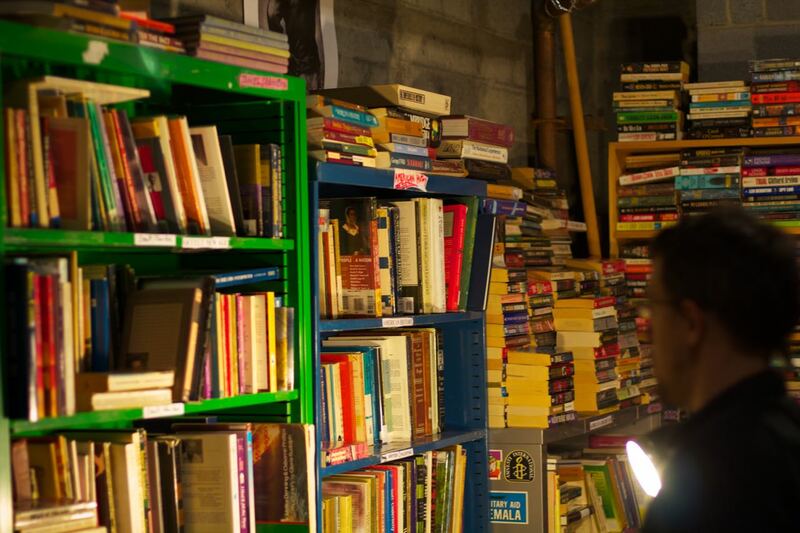 What's the "Alternatives" at the Alternatives Library? Since our beginning in 1974, the library collection has focused on alternatives. The first books were about alternative communities & lifestyles in the 70’s. Our collection has since grown to include a variety of topics, all with themes of social justice, ecology, and transformative action. Prisoner Express (PE) is one of our core programs and currently serves over 3,400 people incarcerated in U.S. prisons. PE offers information, education, and opportunities for connection through distance learning and creative expression. PE programs include: history, culture, creative writing, poetry, and art. This program involves many volunteers to respond to the hundreds of letters we receive each month. Want to help out? Contact Us. The Durland Alternatives Library is a distributor of artwork by the Just Seeds Collective. One of their core projects has been a series of prints that commemorate people’s history. 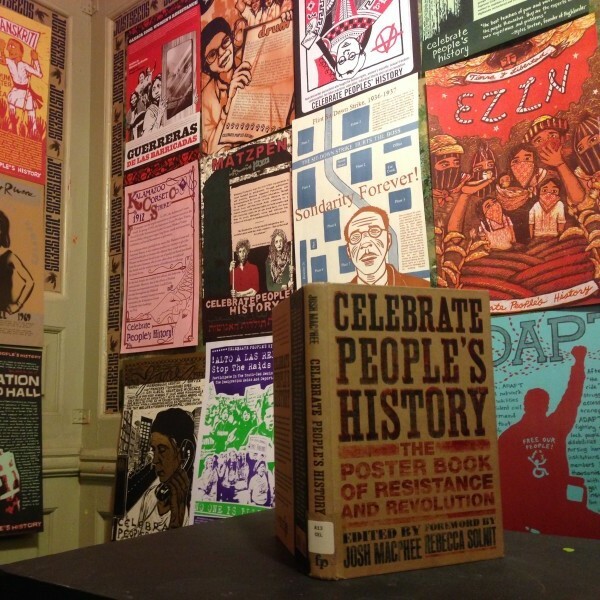 The Celebrate People’s History series is always on display at the library, and individual prints are also for sale. For the past 3 years, we’ve brought this dynamic series of prints to galleries and schools in the Ithaca area, spreading the stories that exist just below the surface in our societies – the stories that are so easily forgotten, but remind us what is possible when people work together and take action. 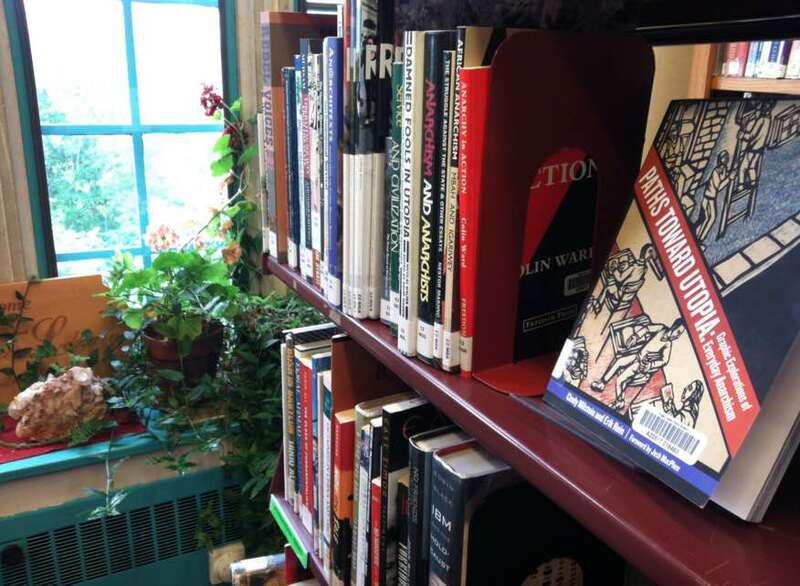 Our collection is distributed throughout the Finger Lakes Library System. Every week bags of materials are circulating from the Durland Alternatives Library. Simply visit our page on the FLLS catalog to see what’s new, manage your account, and search our collection.